"Welcome to Greatland Realty Services"
Providing a superior level of informed, professional real estate services to buyers and sellers in the greater Fresno area including surrounding areas. 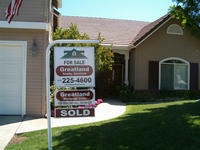 Experienced in Bank owned (REO) and Short sale listing and selling. Greatland Realty Services REO Division Provides Banks and Asset Management Companies fast personal cash for keys, BPO’s, trash outs, marketing and selling the assets in a timely manner to ensure asset preservation. Contact the Broker for details. If you're planning to sell your home in the next few months, this FREE service is designed to help establish your home's current market value. Simply choose Market Analysis and fill out the requested information. We will use comparable sold listings to help you calculate the fair market value of your home. We also have an in-house lender to pre-approve all potential buyers to ensure an "on time" closing and maintain control of the entire process. Automatically receive personalized MLS listings by e-mail. Early each morning we search the local MLS and find the homes that match your criteria and notify you immediately with the latest listing information!! Simply choose Dream Home Finder and fill in the requested information. Or, search for yourself at Search For Homes. You may also receive your pre-approval letter with our in-house lender to ensure control of the entire purchase transaction greatlandmortgagecorp.com FREE LIST OF BANK OWNED PROPERTIES IN FRESNO AND SURROUNDING AREAS! Email your request to us when you sign in on our website or to info@GreatlandRealtyServices.com and our REO Division will assist you in a great bargain for your new home either for you to occupy or invest in.